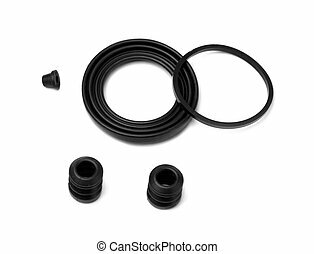 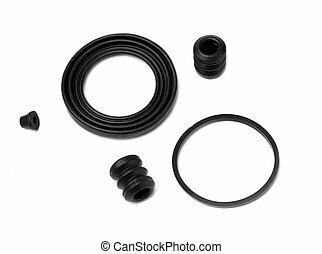 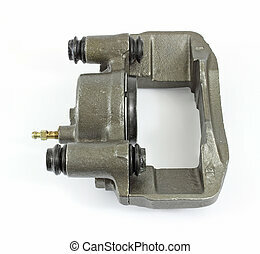 Brake caliper. 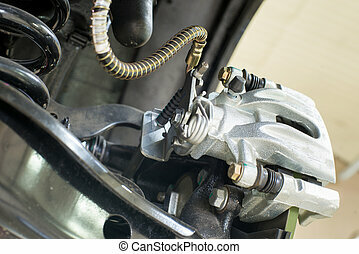 Shot of a new brake caliper loaded with brake pads. 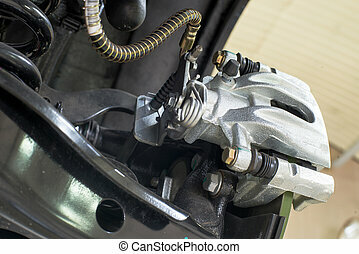 Shot of a new brake caliper loaded with brake pads. 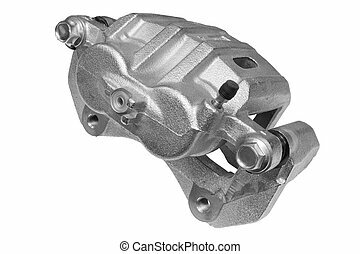 A new brake caliper on a white background. 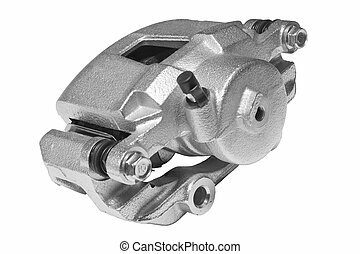 A new small brake caliper on a white background. 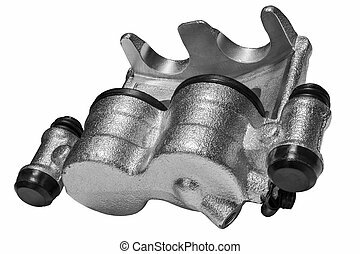 View of the back of an old worn out brake caliper. 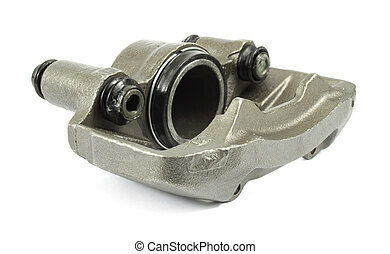 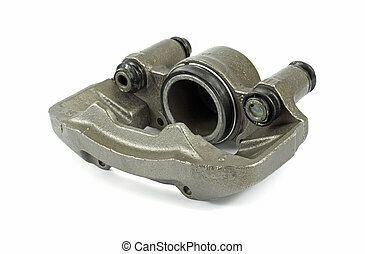 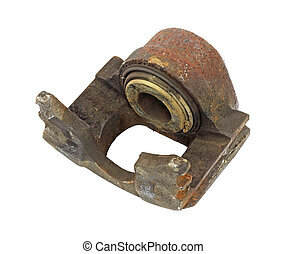 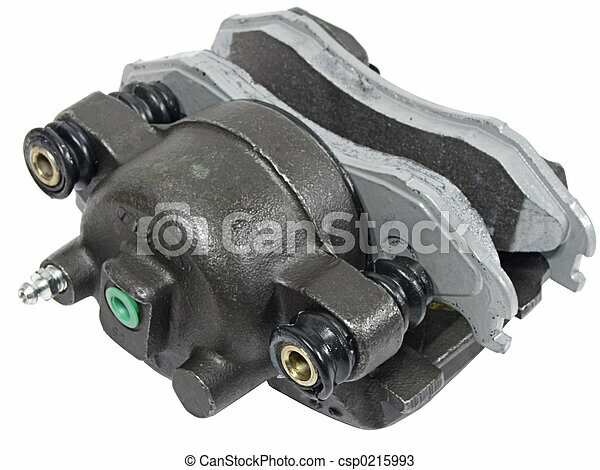 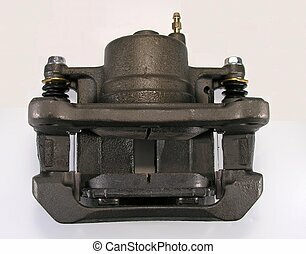 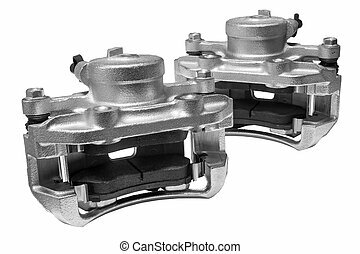 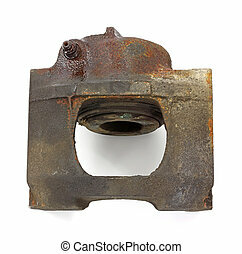 An old brake caliper that is broken on a white background. 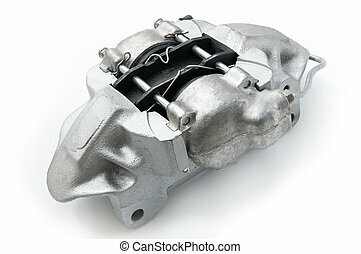 Side view of a new brake caliper on a white background.